Dinosaur Adventure is a 5 reel slot machine game. There are no pay lines here but only possibilities. In fact there are 1024 possibilities to win the jackpot! This looks like a shot worth taking. If you are into free slots, you’d know that this is a really unique thing. Apart from the opportunities to win, you also have the option to enjoy the theme which is fresh and unique. Who doesn’t love Jurassic Park? At the most, if you are a millennial, then it will bring back some memories of the frightening T-Rex. In this game, the standard symbols are all low paying – they will keep giving you back time and again but you have to keep your eyes on the big symbols. The highest paying symbol here is not surprisingly the T-Rex. It will give you some pretty good wins. Just two symbols of the T-Rex are all you need to unlock the earning potential of the slots here. But wait! Where there is a T-Rex, in the Jurassic world, there has to be a volcano too. Here the lava spitting Volcano is nothing but the Wild symbol. Just like lava encompasses all, the volcano will erupt and encompass all symbols and turn them into a winning combination. Both the dangerous figures – T-Rex and the Volcano are your friends on this free slot machine. They will increase our chances to win. But things get really interesting during the free spins round. 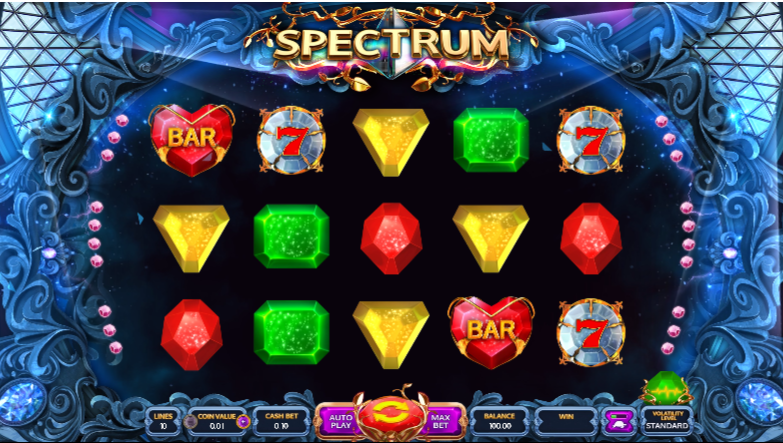 During this round, when the wild symbol appears, it will make you win more – this is by multiplying your earnings. The more wilds during the free spins round, the more your earnings. However, the wild can never replace the scatter.